We offer a smooth, worry-free Singapore company formation, branch office registration, and offshore company setup process. Let us take care of your Singapore Corporate Secretarial Services, Registered Office Address, and Nominee Director needs. You can bank on our comprehensive Accounting & Tax Services from GST registration to Income Tax Filing and Bookkeeping Services. Known for its enterprise-friendly environment, straightforward business registration process, attractive tax regime, and transparent government policies, Singapore continues to be a competitive destination for company formation. If you are considering starting a business in Singapore, the first step is knowing the requirements, incorporation process, company set-up fees, and timeline. Approved Company Name: This is an important pre-incorporation requirement as you will not be allowed to incorporate a company in Singapore without first having the business name approved. The process is undertaken to ensure that there are no conflicts with the business name such as having a duplicate, being considered as vulgar or offensive, or registering a pre-registered business name. The business name application must be filed at the Company Registrar. Company Director/s: You must have at least one (1) local company director who is an ordinary resident in Singapore (an ordinary resident can be one of the following Singapore Resident, EP holder, Permanent Resident, Dependant Pass holder). All Company Directors must be at least 18 years of age upon appointment and must not have any record of either one of the following: fraud, bankruptcy, or any business malpractice. Shareholder/s: The company must have at least one (1) shareholder. The shareholder may either be an individual or any other legal entity. It is not required for the shareholder to be a resident in Singapore. Company directors may also act as shareholders although it is not necessarily required. 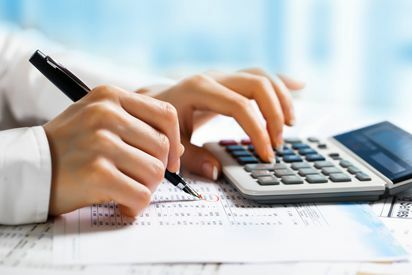 Paid-up Capital: The minimum paid-up capital, also known as share capital, which is required in order to incorporate a company in Singapore, is $1. Registered Business Address: To incorporate your business, you must first secure a registered address for your business in Singapore. This ensures that the public has access to a physical office should they need to look at company records or deliver parcels, notices, and communications. The said registered business address must be open for at least three (3) hours every day of the business week. Note that a P.O. Box is not considered a registered address. Business Activities: Have a prepared brief description of your proposed business activities. Corporate Bank Account: The presence of the company directors, shareholders, and other stakeholders will be required for opening a corporate bank account. The business bank account can be opened in any of the major banking institutions in Singapore. Conduct prior research before deciding on which bank to transact with as requirements, process and fees vary from one bank to another. Engaging a professional corporate service provider is ideal in ensuring that the incorporation process is smooth and hassle-free. 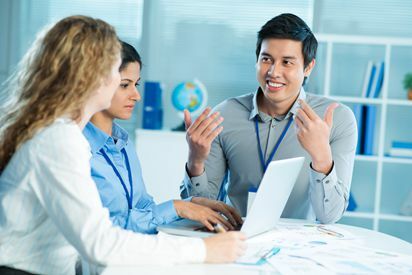 By doing so, you can rest assured that an expert who knows the ins and outs of the process are handling the incorporation of your business in Singapore. It will also allow you to focus on preparing for your business once it is registered and ready for operations. Foreign entrepreneurs will also find it exceptionally beneficial to hire a corporate service provider as the physical presence of the business owner or a representative, while ideal, is not required when incorporating the company. The transactions and communications may be done online while the required documents may be sent via courier. This makes the process more convenient for foreign entrepreneurs as they do not have to travel to Singapore to incorporate the business on their own. To enable us to assist you with the incorporation of a new Private Limited Company, you will need to provide us with the relevant details by completing our Incorporation Information Form. This will enable us to prepare the necessary incorporation documents for signing. Why Should You Choose Richmond Business Consultants? Richmond Business Consultants is one of the leading and reputable corporate solutions providers in Singapore. 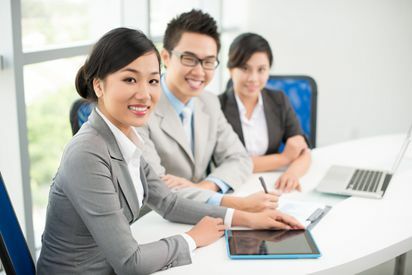 Our expertise and experience in the industry allow us to assist entrepreneurs in setting up a business presence in Singapore and provide support services post-incorporation.We offer quality and cost-effective Singapore Company Registration & Offshore Company Formation, Corporate Secretarial Services, and Accounting & Tax Services. We consider our client base as our greatest asset. Hence, we put great value in delivering exceptional client service that sets us apart from our competitors. We go beyond simply fulfilling statutory compliance for our clients by providing professional guidance and actionable insights that are instrumental in formulating business strategies. To deliver this, we ensure that each member of our team is skilled, well-trained and prepared to uphold the highest standards in finding the most efficient solutions to our clients’ specific needs.